As I wrote before – unusual French manicures are on top right now. 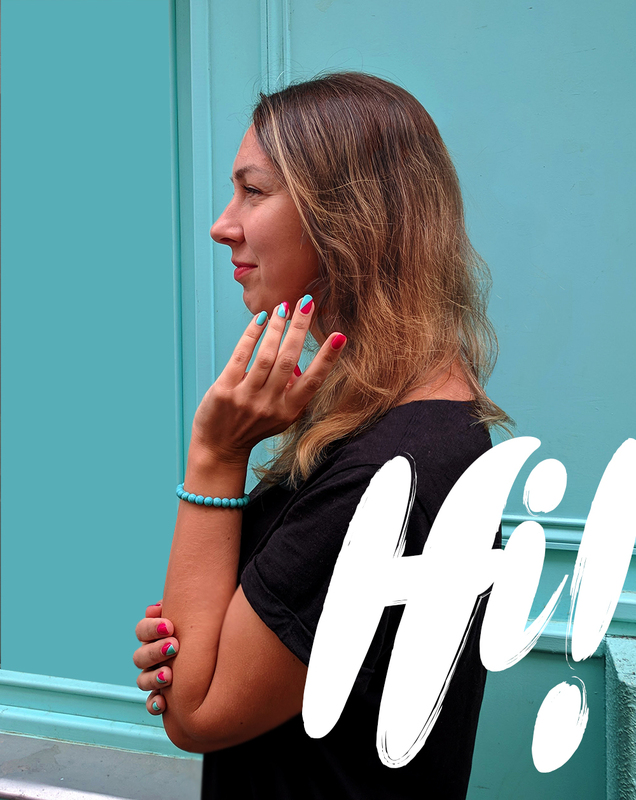 So no more boring white tips, let’s try something different – triple French manicure in bold colours! While I was working on new blog design, my nails were in vacation mood on SoNailicious.com. 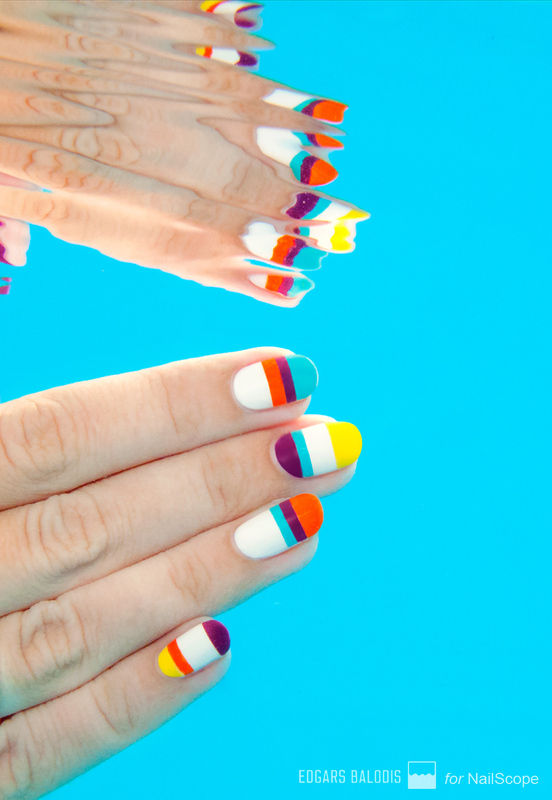 😀 And if you (or your nails) are planning vacation too, don’t miss out this tutorial. It’s all about tropical vibes and bright colours! Enjoy! 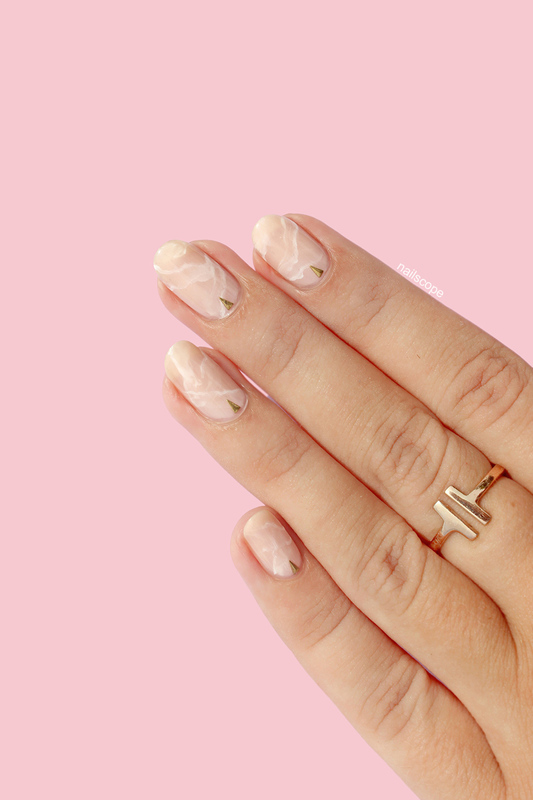 Rose quartz nails are a big trend right now. I believe it all started with turquoise, marble, then geode nails and now is time for this light pink crystal to conquer a nail art world. I saw a couple of designs online and to be honest, I wasn’t found of rose quartz nails. Of course, up close they are beautiful – airy and delicate, but aren’t the look weird from a distance? Like unhealthy and flakey nails? (Am I the only one who have that kind of thoughts?!) So I decided to challenge myself and jump on this bandwagon to see how it is in fact. Also did step-by-step nail art tutorial to show the process for those who want to try it. 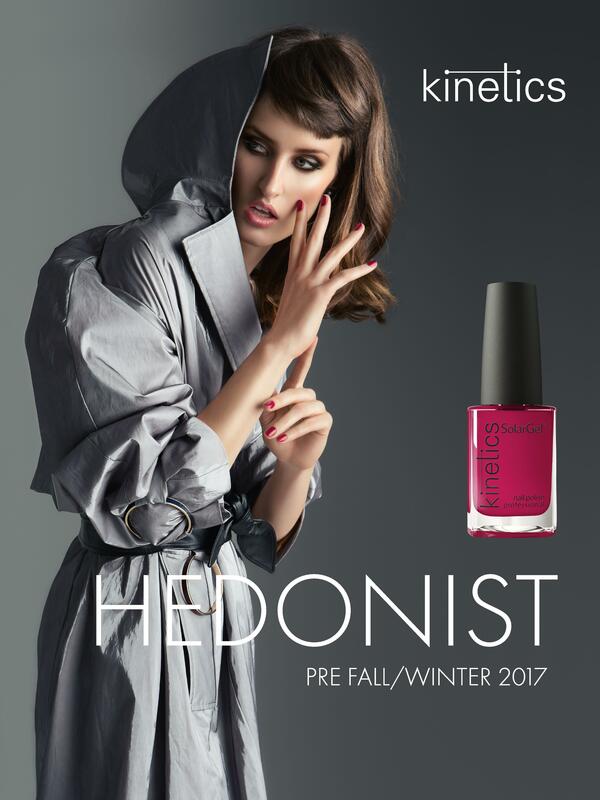 One of this season’s nail art trends is solid stripes, so I thought that just released Kinetics collection Escape with it’s vivid and bright colours will be perfect for trying it out. I chose 5 shades – started with Why Not My Friend, and then by the help of striping tape added bold lines with Marry Me Lemon, Shark In The Pool, Escape and It’s Not My Passport. The design is pretty easy to do, and it isn’t too busy as a pattern so you can afford to go for full set – draw it on all 10 nails!